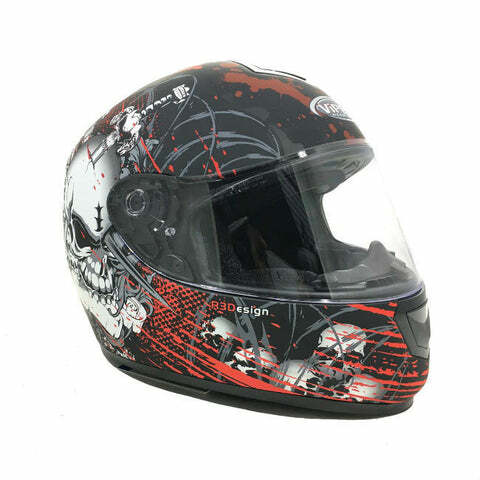 Browse our huge range of Road and Motocross motorcycle helmets, and find the right one for you no matter what your style. 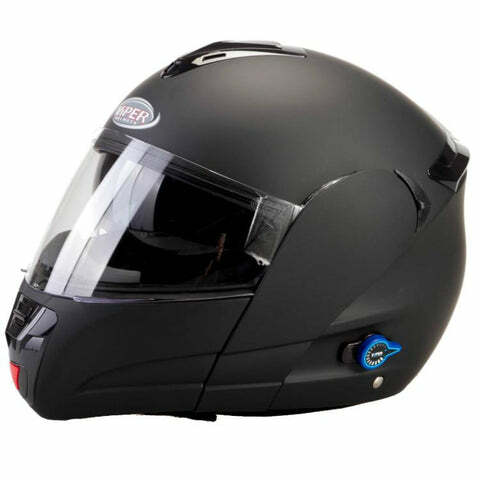 From the simple commuter helmet to bluetooth integrated helmets, along with top spec helmets from major brands like HJC, MT, Airoh and more, our selection is one of a kind. All helmets are included in our 30 day Free Returns & Exchanges program, and we're always here to answer questions on the phone, WhatsApp, FB Messenger or email. 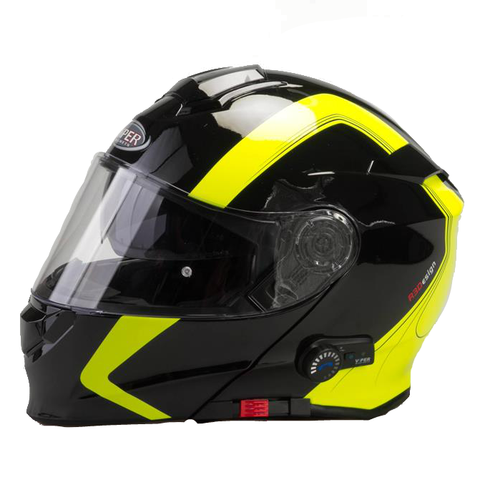 The Viper RS-V171 BL+ Flip Front Helmet was released as a replacement for the previous rs-v151 model, bringing with it a stack of new features and improvements including an updated Bluetooth 3.0 system. The bluetooth system delivers audio through 2 integrated High Def speakers and keeps your voice clear with a top spec noice reducing system that allows the microphone to focus on your voice and not the road noise. Note: Bluetooth systems designed for use with Motorcycle SatNavs are not always compatible with car Sat Nav systems. Please check with your SatNav manufacturer for compatibility. It's got every feature you need for comfortable touring, but at a price that means you can afford to get some new touring luggage aswell. 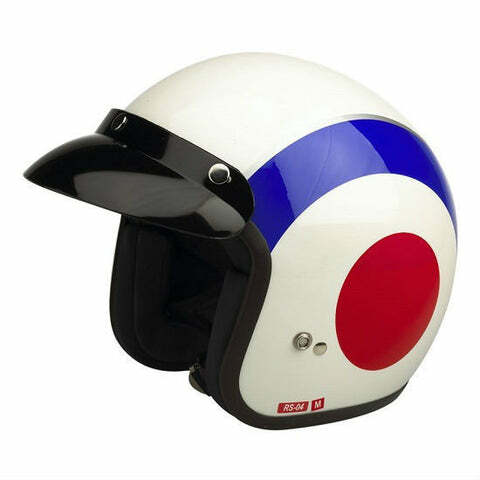 It's the best looking entry level helmet out there, with sharp lines & colour options to suit. 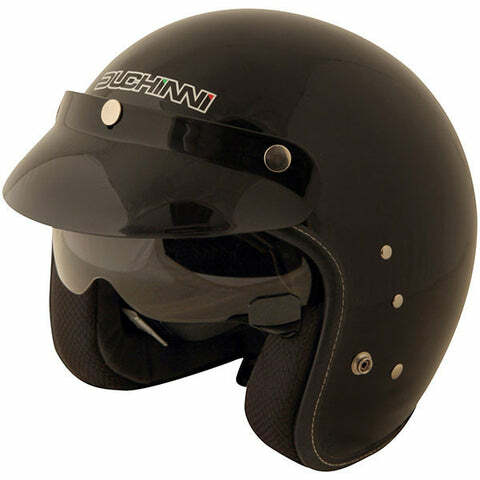 The D501 is a retro classic styled open face helmet from the world renowned helmet manufacturer Duchinni. 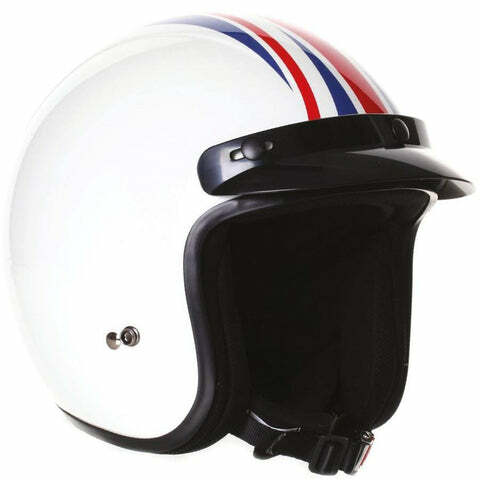 This helmet follows suit with it's classically designed open face shell, but with the bonus of having an integrated drop down sun visor for those brighter days, and the quick release seat belt style buckle makes getting your lid on and off simple and effortless whenever you stop off at a cafe! Viper RSV-8 with built in stereo headset is one of the few in the Viper range to feature pre-fitted speakers, with a jack and aux lead included to make it easy for you to plug in any audio device or phone and ride away. All of this with the usual list of Viper features such as a retractable internal sun visor, multi point vent system, and ratchet fastener. Protection is optimised by a double EPS internal layer, overlaid with removable and washable Coolmax liners. 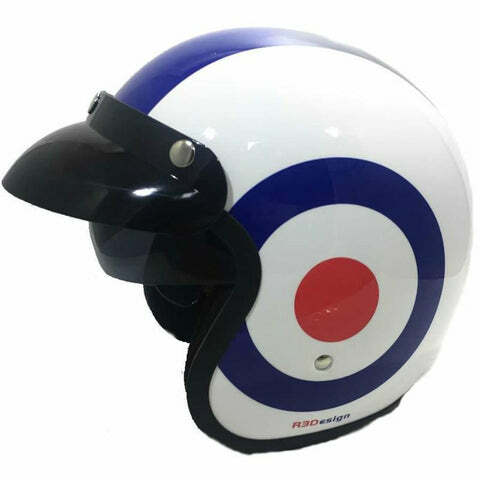 The aerodynamic shell features vents to the chin bar and maximum flow multi vents, and incorporates a tinted interior drop-down visor for sunny conditions. 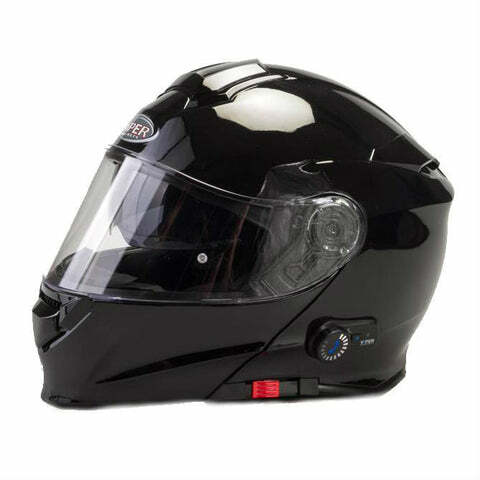 Finished with a Double-D ring fastener and six position optically correct anti-scratch visor, the HD117 provides a super-light race class protection helmet and is ACU Gold approved. 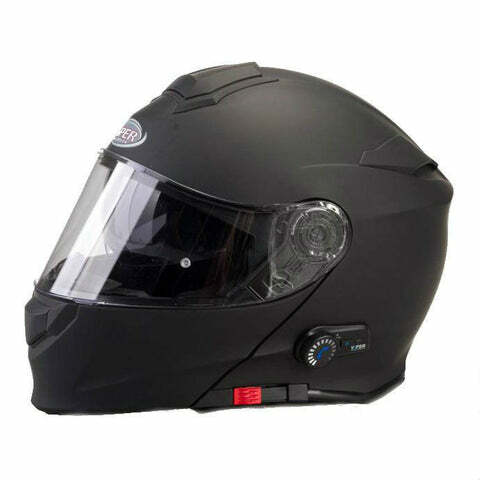 The latest RS-V131 BL+ helmet from Viper brings upgrades from the earlier model with a modern Bluetooth 3.0 system giving you a more reliable and clearer connection with other Bluetooth devices allowing you to stay connected even while you ride. Integrated High Def speakers sit behind the liner for maximum comfort while the up to date liner reduces road and wind noise so you can hear and be heard clearly. Controlling your Bluetooth system can be done even with thick gloves on using the simple, durable side mounted controller. 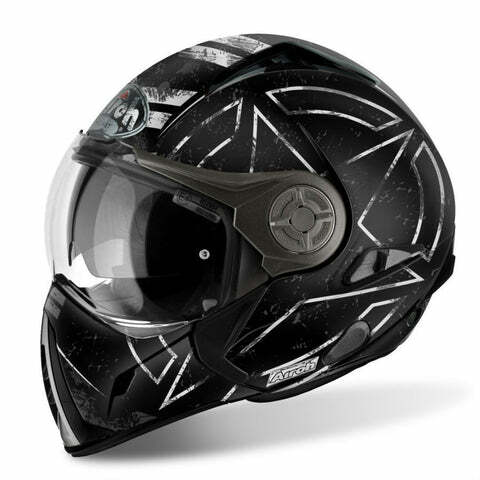 Viper RS-1010 is ultra light full-face helmet in solid carbon. 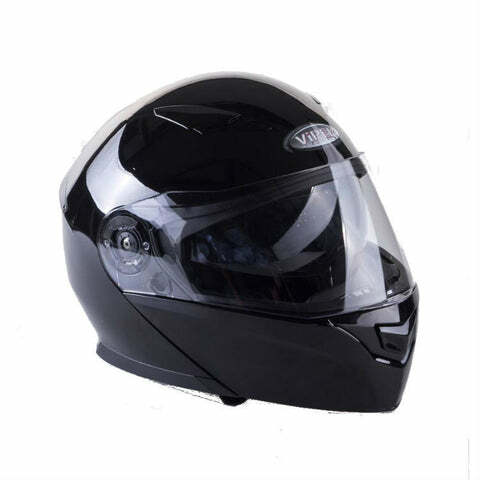 It features good ventilation system, anti-scratch visor, double D-ring fastening system and visor locking mechanism. 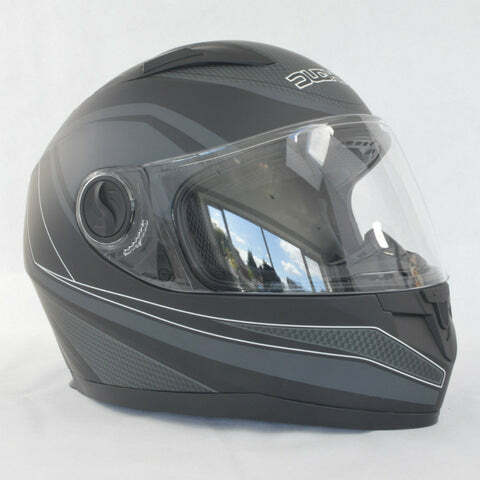 Unlike most open faces you don't need to wear goggles or sun glasses thanks to the full visor and drop down sun visor! 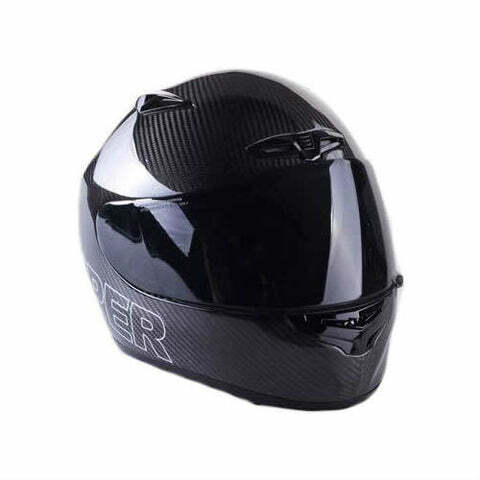 The Viper RS-V06 is a value for money open face helmet for bikers who are looking for a helmet that'll do the job and suit their style. Integrated sun visor included in all models. Integrated spring loaded sunvisor system DVS with base mounted activation switch for ease of use. 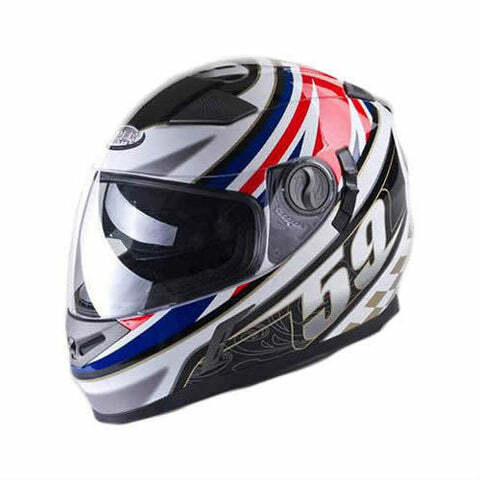 MPT (multi poly tech) constructed full face shell. Ultra comfort fit washable and removable liner system. Dual air filtration system at brow with enlarged air ports for airflow. 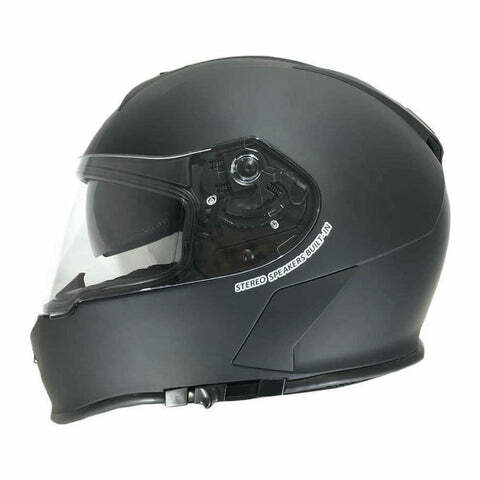 Integrated rear exhaust ventilation ports to increase airflow within the helmet. Quick release, Factory prepared Pinlock visor for use with Nitro Pinlock Anti-fog insert. 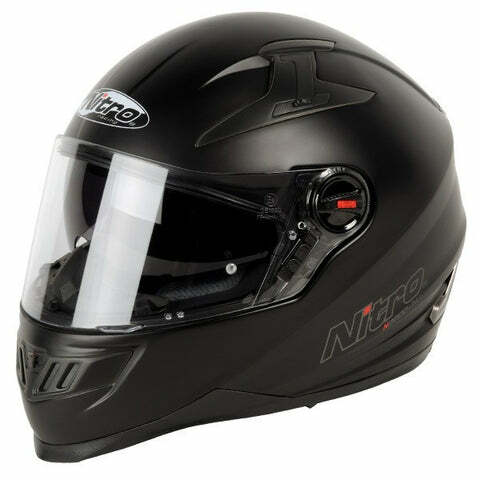 [lightbox url="https://cdn.shopify.com/s/files/1/0551/6185/files/nitro_helmet_size_chart.jpg?13257472043849025702" text="View Nitro Size Chart" class="btn btn-info"
Nitro offer a huge range of motorcycle helmets and clothing renowned for their innovative technology and fresh approach when it comes to designing protective motorcycle clothing. As one of the leaders in the riding gear market you can sleep easy knowing the latest bit of nitro kit will keep you safe out on the road or track. 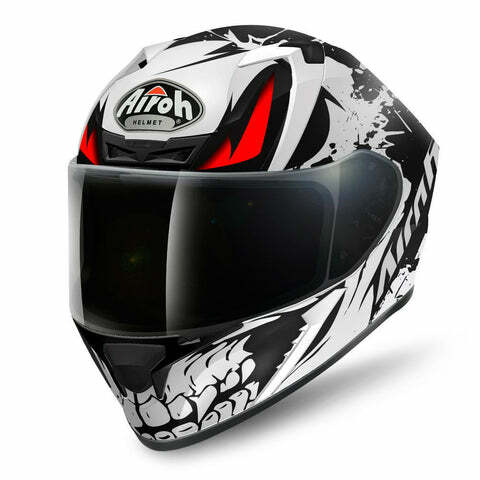 Airohs latest full face helmet Valor was designed and built for sporty riders with an aggressive shape and construction. 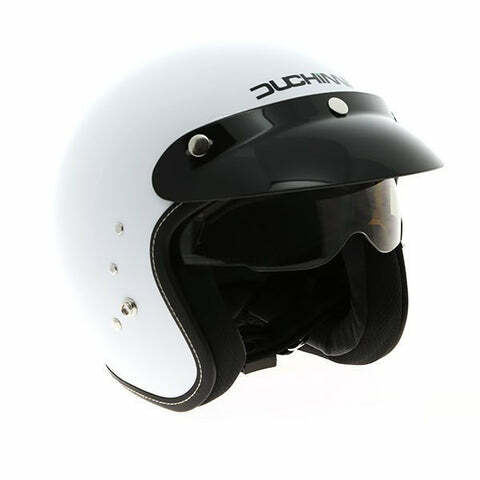 An advanced lightweight thermoplastic shell is available in 2 sizes to ensure you get the best fit, and the 8 zone Airoh ventilation system provides a steady climate inside helping to keep your concentration on the road. The Valor helmet is available in a range of cutting edge graphic designs so you can find the right one to match your style. 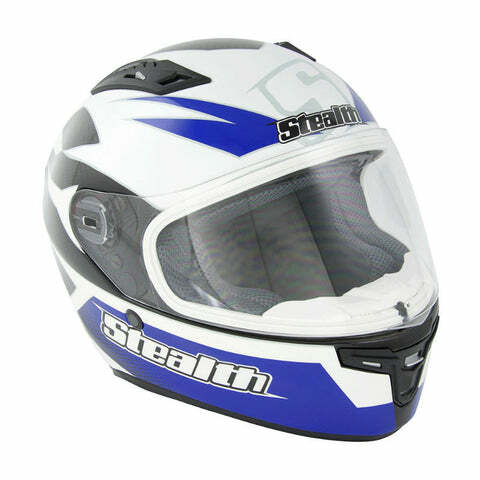 Supplied with a clear visor as standard. 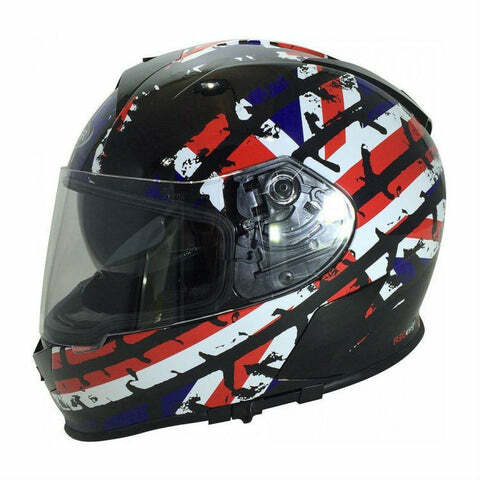 Viper RS-V9 Graphic UK 59 Flag Pinlock full-face helmet features retractable internal sun visor, ratchet fastener, good ventilation system and scratch-resistant outer visor. 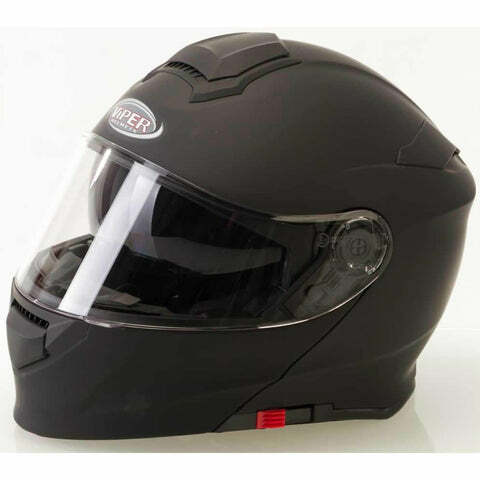 Viper brings you another great value helmet full of features and spec with the RSV445. 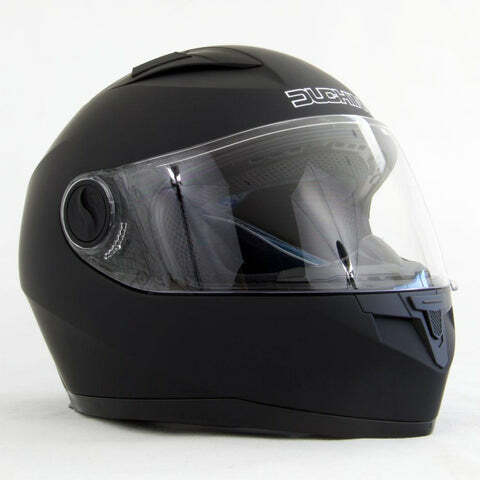 With a retractable internal sun visor for those brighter days, the super efficient Aero-tech venting system, and the high density noise reducing liner making this a comfortable helmet for touring no matter the conditions outside. 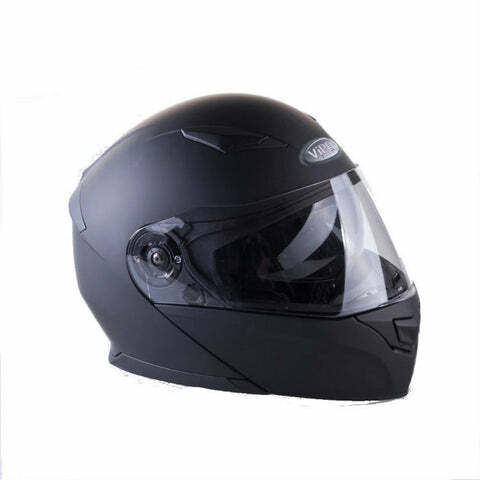 Add to all of this the Pinlock ready visor as standard, and included Pinlock lens and you have the perfect budget helmet which is ready for any weather or riding style thanks to the colour options. 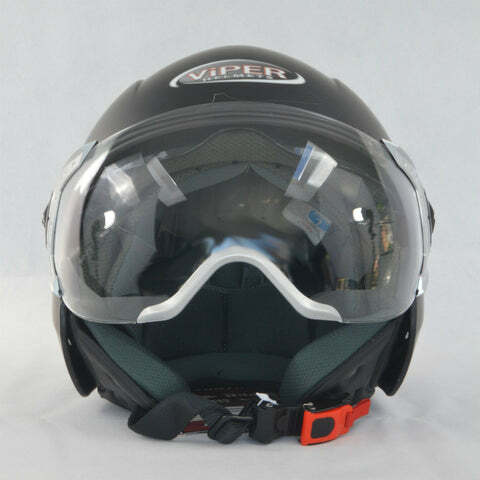 Viper RS-250 Union Track Matt full-face helmet features scratch-resistant outer visor, ratchet fastener and MultiPoint ventilation system.